Fire in space looks and behaves differently from fire on Earth. The reason is because we’re used to seeing flames bound by the influence of gravity. If you light a candle on Earth, you get a recognizable flame-shaped form and combustion proceeds with oxygen drawn into the flame from the bottom, and hot, lighter gases rising to the top. There is a distinct temperature difference for parts of the flame as new air rushes in, combustion occurs, and hot gases move away from the reaction. In space, the chemical reaction is the same, but a flame forms a sphere, as the reaction can proceed in any direction. Rather than hot gases rising, they move outward. The flame tends to burn cooler, too, since it’s harder for oxygen to move in to support the reaction. In fact, the hot and glowing orb often goes out, yet the fuel continues to burn. The flames are not hot enough to produce light visible to the human eye. Although this might seem strange, there are oxidation processes on Earth that also proceed without visible light, such as the rusting of iron. Fire in space behaves differently from fire on Earth. 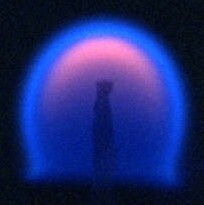 This photo was made by back-lighting a 3-mm droplet of fuel (heptane) as it burns in microgravity. 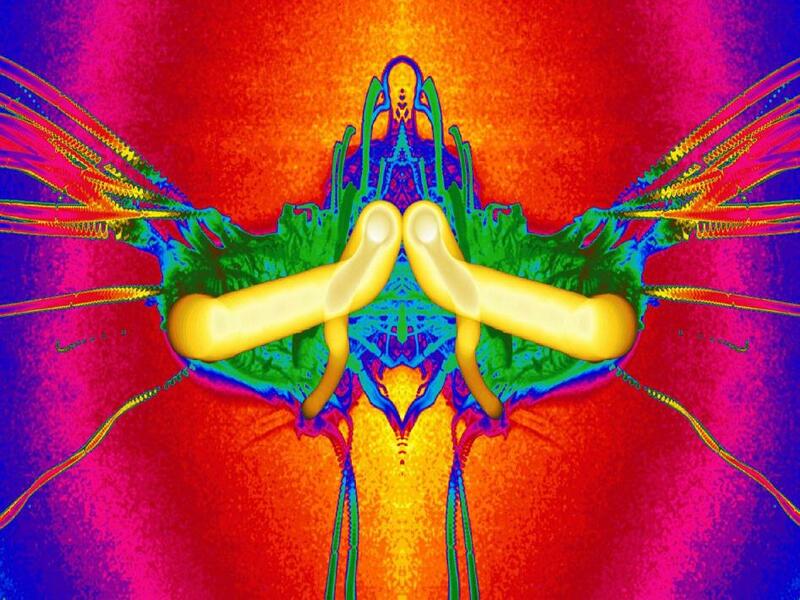 A colorized composite was made from the frames of the video, showing the path of the fuel droplet, the production of soot and the mixing of gases as the reaction proceeded. The central yellow structure is the path of the fuel. See how the droplet becomes smaller as it burns? The green area is where soot is produced, near the fuel. The streamers that lead away from the fuel are formed as soot particles clump together and spiral away from the reaction. A droplet of fuel burning on Earth could be filmed and colorized the same way, but you would expect to see a different pattern. A droplet of fuel would spread out on a solid surface, rather than remain a ball. You would see a flame-shape, with soot pushed up and out from the flame as hot gases rose in the air. Scientists on the International Space Station have examined how fire behaves in microgravity and also how to extinguish flames in space (since fire on the ISS would be a bad thing). See their experiments and learn why fire looks the way it does. This video also explains whether the fire shown in the movie “Gravity” was accurate.